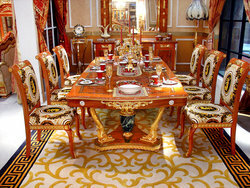 This 9 piece dining room set if full of elegance and sophistication. 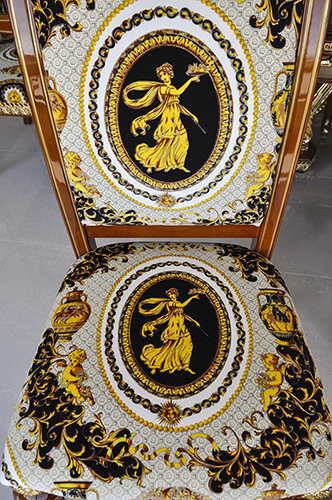 The 8 luxurious chairs are upholstered in high quality Italian velvet, that pair perfectly along side the large scale solid Birch wood constructed rectangular table. 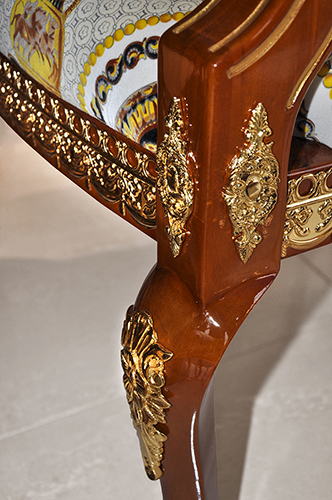 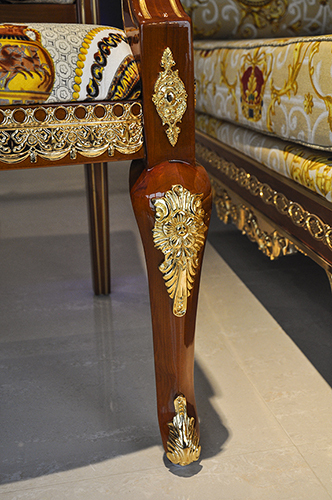 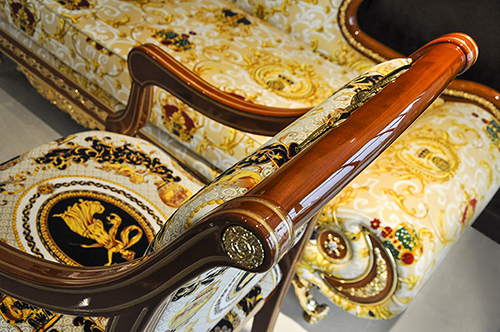 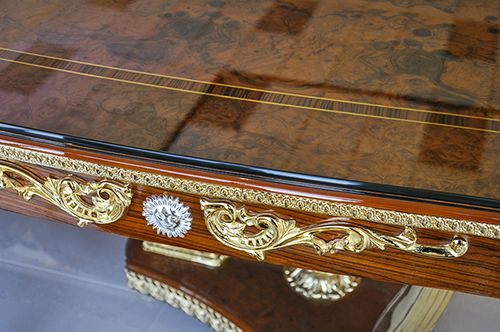 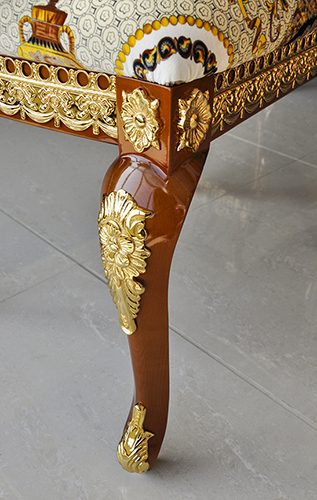 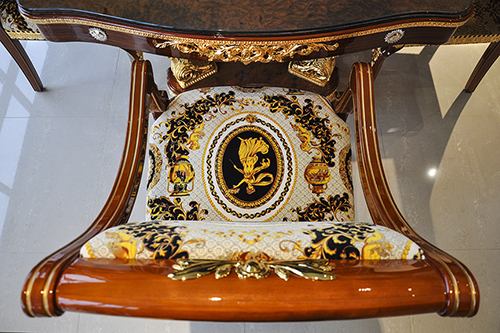 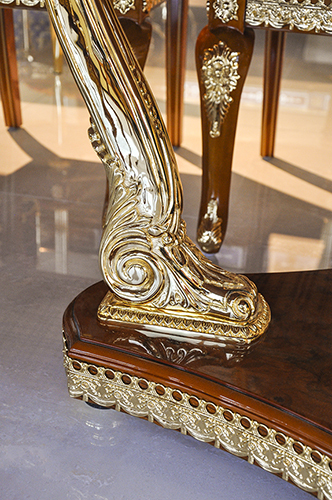 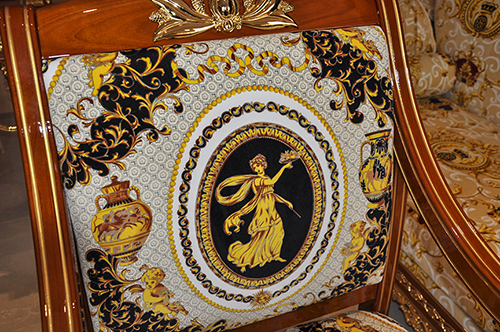 This table is brought to life with it's 24kt gold plated brass embellishments. 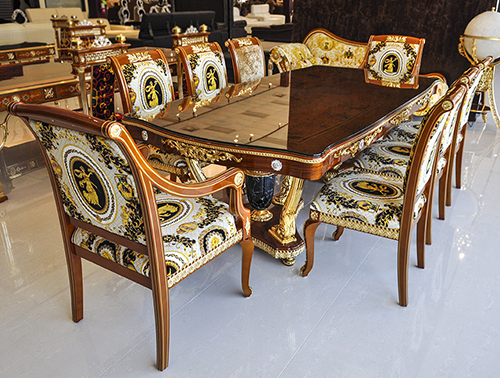 The Murcia dining set will not disappoint as it will be the perfect addition to any dining space.